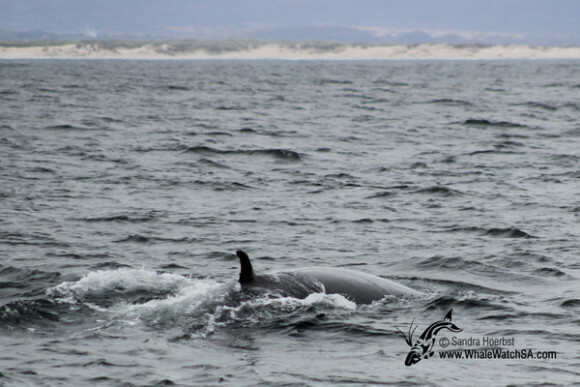 Another day with four out of the Marine Big 5. 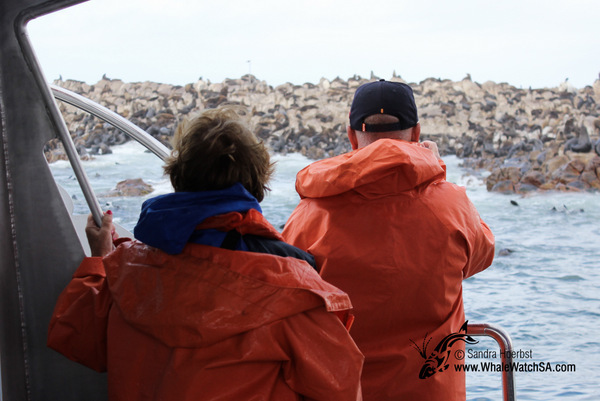 Around one of the shark cage diving vessels we did get to see a big Great White shark. 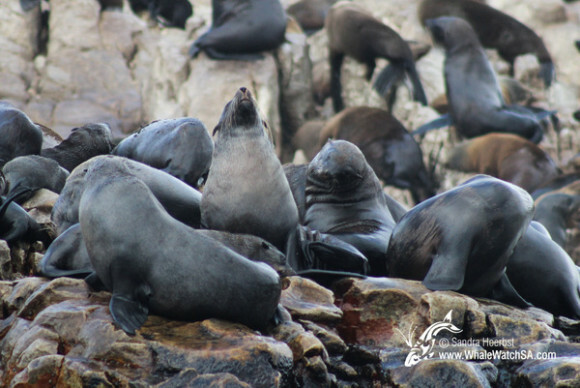 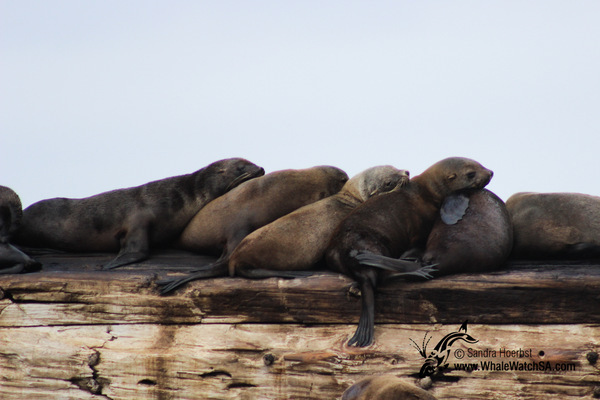 After seeing such an amazing animal we were heading off to Geyser Rock to have a look what the sharks feed on, the Cape Fur seals. On our way back we stopped close to Dyer Island to see some of the African penguins. 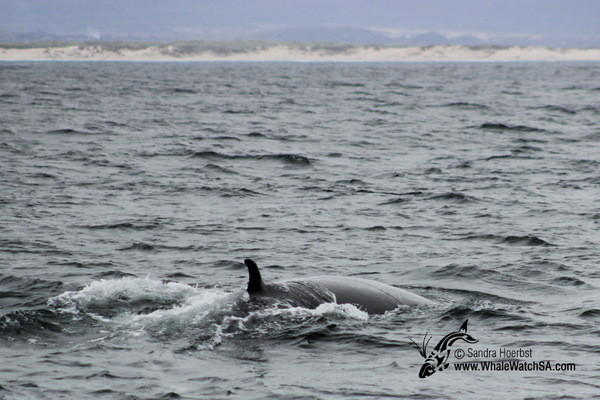 And what a surprise we had just in front of the harbour, a Bryde’s whale. 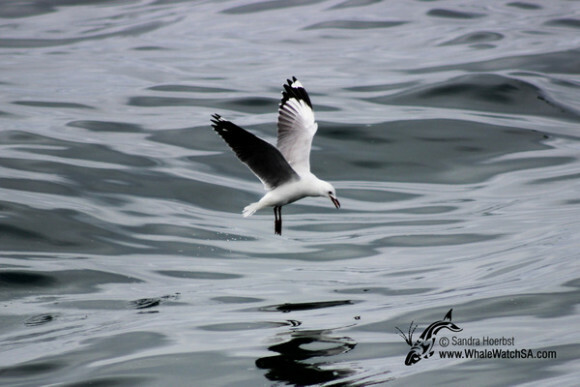 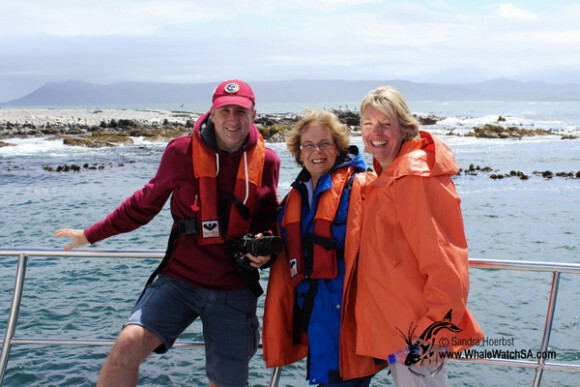 We are always lucky to see them as they are quite shy in comparison to the Southern Right Whales we see during our whale watching season from July to December.